and say goodbye to bad smells in your loo! Save up to 250 litres of water per day! Save water while keeping your bathroom smelling hygienic and fresh! Simply spray over toilet water after use. Enzymes break down the ammonia in urine. No ammonia = No smell! Water shortages are now critical. We need to be doing all we can to save every drop before we run out! 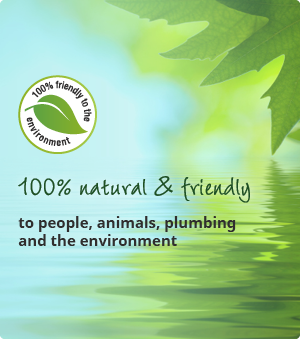 Wee Pong™ is Sannitree’s® solution to help home-owners and ordinary people seriously save water. The average toilet uses 6 litres of water with every flush. This simple enzymatic spray solution allows you to leave urine in the toilet bowl without suffering the unpleasant smells associated with stagnant and decomposing urine. How does Wee PongTM help you save water? The average toilet uses around 6 litres with every flush. By leaving urine in the toilet bowl and only flushing when absolutely necessary, your household could save between 120 – 250 litres on flushing per day. Simply spray Wee PongTM around toilet bowl and over the toilet water after use. On spraying, you will smell a pleasant fragrance before the sulphur retardant goes to work to reduce the malodours associated with stagnant and decomposing urine. Your toilet will always smell fresh and hygienically clean – even when you’re not flushing. As urine breaks down, ammonia is released causing the bad smell associated with stagnant urine. With no ammonia malodours do not form. Your toilet smells fresh and hygienically clean! Please click here for a detailed list of WeePong suppliers in the Western Cape and their contact details. Spray WeePong!TM around the toilet bowl and over the water after use.